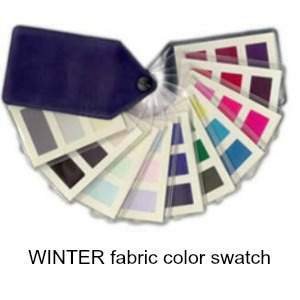 Bring your Winter swatch to life! Holding your brand new Winter swatch in your hand is exciting - but the next thought often engenders panic as you wonder what on earth you're going to do with it now. 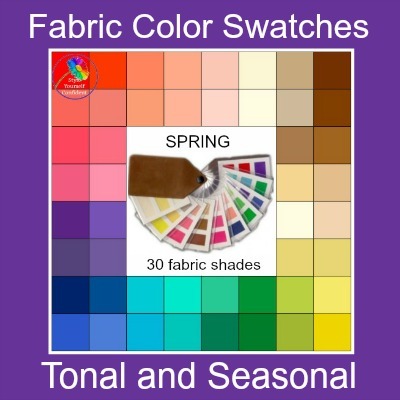 The Winter swatch has 30 colors but please don't think that your choice is going to be limited, because between those colors there are literally hundreds and thousands of different shades - just like an artist's palette. But it can be really difficult at first to visualize how the color will actually transform themselves into an outfit and find their way into your wardrobe! 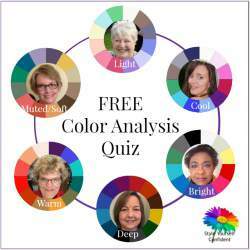 It would be impossible to try to match exact shades when you were shopping - in fact it would be a nightmare and it's often why Color Analysis is misunderstood. It's important to understand the value and the Characteristics of the colors you're looking for rather than even attempting to match the colors. First of all let's take a look at how this fabulous color palette expands to give you all the amazing array of colors and prints that you're likely to find in the stores. 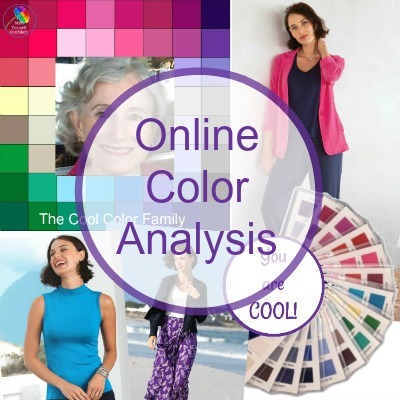 I've found incredible inspiration from a small British company called Kettlewell Colours who make a range of jersey separates and dresses in an amazing array of colors. 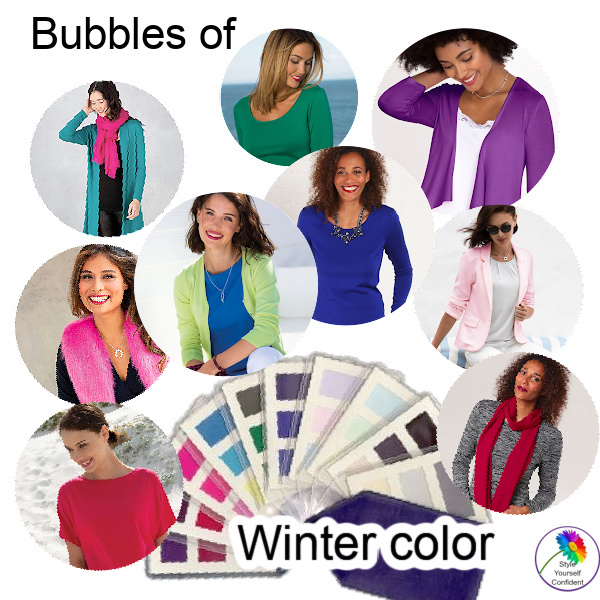 There are actually 99 colors specifically labelled 'Winter' colors so there's no shortage of choice. Outfits are photographed and displayed according to Season so it's easy to see how all the Winter colors harmonize and work together - and how they will work for you. You'll find all your wardrobe basics in flattering shapes and sizes whether you want to major on neutrals and introduce accent colors or whether you want to take full advantage of color power! In fact all the hard work is done for you! 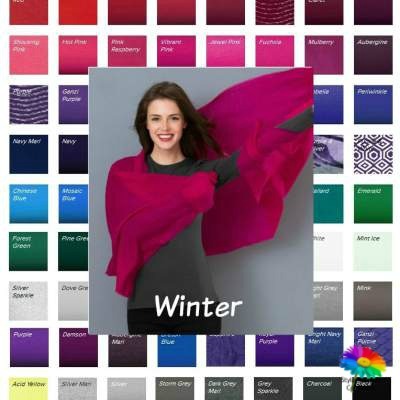 Winter is a glorious mix of the COOL, BRIGHT and DEEP color families. A true Winter colors has High Contrast in their brilliant natural coloring - dark hair and fair skin, or jewel like eyes - and the colors follow suit. They're bold and bright, strong deeps and icy lights. Your colors are COOL (always with a blue undertone); they're DEEP (strong intense pigments) and BRIGHT (clear true colors, never dusky). Your best colours as a True Winter are berry red, emerald green, royal blue and black/white - they are always worn in blocks to form high contrast between the colors. 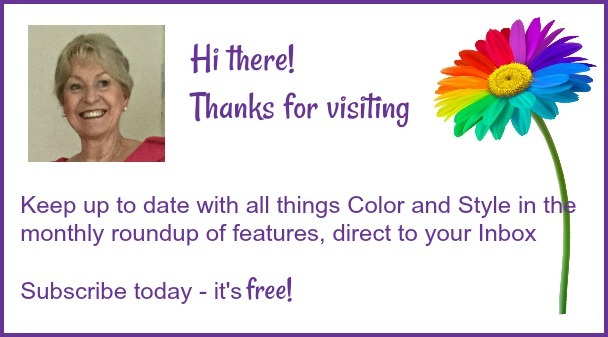 You will soon become accomplished at using your color swatch. It should be used as a blending tool - if something looks good with your swatch it will look great on you!